During the last week, it seems that my visual perspective had changed. I started seeing everyday items, turned them slightly or saw them at a different angle. Suddenly, I viewed more and more items in this slanted and skewed way. So I tried to take a few photos to share them with you. 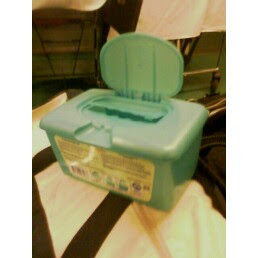 This box of wet wipes sure looks a whole lot like the smallest port-a-potty that I've ever seen. This one freaked me out a little. I expected that. if I had taken something hallucinogenic, the thing would have started talking. 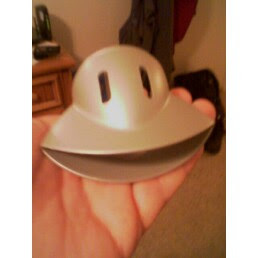 Looks a whole lot like a plastic duck's head with a wide smiling bill. I was told by the wife that in reality it is an extension of her blow dryer, turned upside down. I wish I had taken more photos for you because there were some oddities. But I'm happy to share what little that I could document with you. Now back to your regular scheduled programming. And I thought this was going to be a post about Meatloaf. Now I know why I don't use a blow dryer.